Anderson Systems install and maintain a variety of Electronic Security Systems, ranging from wireless domestic alarm systems to fully integrated CCTV and Access Control building management systems in commercial building complexes. We can provide dual path alarm signaling such as DualCom and Redcare GSM. All our solutions can be tailored to fit your exact requirements and fully comply with insurance, NSI and European standards. 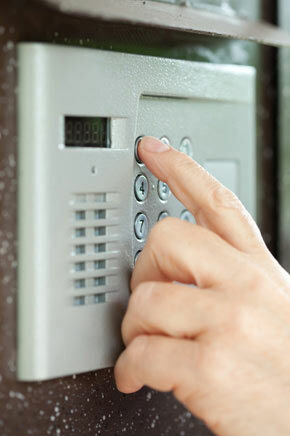 24/7 hour Fire & Intruder Alarm Monitoring Service, provided by our Alarm Receiving Centre. Remote engineering diagnostics, reducing the need to visit premises and avoiding unnecessary call out costs. Be assured that with Anderson Systems you are not tied into any lengthy and expensive contracts and you will own all of the alarm equipment once paid for. Discover the level of crime in your area from the official UK Police website.